Many of us struggle to get the balance right in life. We seem to spend far too much time with our bottoms up and heads down working like troopers while worrying about how we are going to get everything done. Well, worry no more people as what you need is a bit more Sattwa in your life! Sattwa is one of the trigunas (three characteristics or states) of the Hindu Samkhya philosophy and in a nutshell, it means goodness and purity. It is accompanied by the other two states of being- Rajas (activity) and Tamas (laziness) and you’ve guessed it, happiness sits in that sweet spot where the trigunas are balanced to perfection. BUT, if you can’t really be bothered to hoof yourself off the sofa (too much Tamas) or you are too flat chat to fit yet another job into your schedule (Rajas) then may I suggest a short cut? Sattwa in a bottle…. Rebecca Mansfield has been slaving away in her laboratory for the last three years creating this delightful range and I was lucky enough to catch her at her local coffee shop on Tuesday for a little play time! 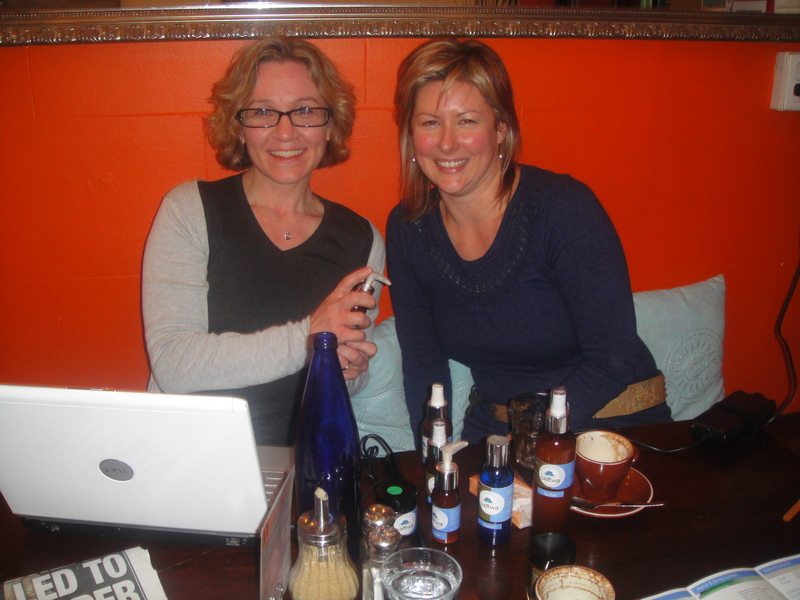 While training as a massage therapist Rebecca got bitten by the skin care bug and set about creating a range of honest, wholesome and hand-made products based on the highest quality aromatherapy grade essential oils. The result? A range that really does lift the mood and bring a bit of happiness to your day. So what should you try first? Well after meeting on a cold and wet Sydney winters day I could not go past the Rub-a-dub-dub children’s chest rub a delightful alternative to the more traditional petroleum-based product. Rebecca has created a lovely light gel that makes treating wriggling little ones a breeze and it is made all the more adorable by the beautifully blended frankincense, Tea Tree and Lavender aroma. The perfect ‘go-to-sleep’ formulation! I have to say that my next favourite were the refreshing facial mists for their simplicity and aromatic charm. Happily Ever After is all about Sandalwood, Rose and Pettitgrain and Summer Rain (love this smell) is cutely refreshing with its Sweet Orange, Palma Rosa and Peppermint really put a smile on your face. Rebecca’s range is available to purchase over the internet and in selected pharmacies and beauticians on Lower North Shore and Northern Beaches, see website for stockists. It is also likely to be available in chemists in the Rozelle area soon. So go on, rub on some Sattwa, you know you want to…. PS: Why not show them some love on Facebook too. ← Stop, that doesn’t sound natural. What are Polyglyceryl esters?